Do you have painful, unbearable toothache? Or, have you broken or lost a tooth in an accident? Whatever your emergency dental problem is, we can help you at our London dental clinic. We understand that if there’s a high level of pain, or you have and important travel, business or personal arrangement, waiting a day or more to see a dentist isn’t an option. 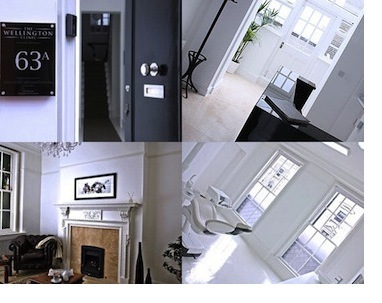 At our dental practice on the Kings Road in Chelsea, we provide an emergency dental service. Call us now on 020 7148 7148 and one of our team of emergency dentists will endeavour to see you today. Emergency dentistry procedures that we can perform for you include fillings, crowns, root canal treatment, tooth removal and more. Tell us what emergency treatment you need, or if you’re not sure, tell us what the problem is and we’ll advise on the treatment needed. Seeing one of our dentists outside of office hours is possible. Call us now, whatever the time is, we can arrange for someone to urgently act to solve your problem. After confirming the treatment needed, providing pricing information, and agreeing a time, you should head to our dental clinic at 63A Kings Road, Chelsea, London, SW3 4NT. We are a private dental clinic in London providing general, cosmetic, implant, orthodontic, periodontic and endodontic dentistry. Our experienced dentists use advanced dentistry techniques and the latest dental technology to provide the highest quality of dental care available. We provide a 24 hour emergency service and out-of-hours appointments on request.